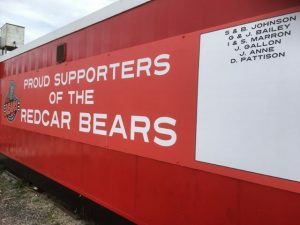 The latest list of fantastic supporters who have joined the Bears 2018 tyre fund , proudly on display in the clubs pits area. 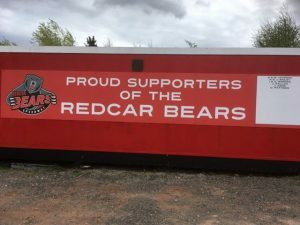 Any person who joins the club will get an exclusive limited edition Bears Tyre Fund Badge which will not be available to non members as well as automatic entry in to a weekly draw giving them an opportunity to join in the interval antics and win free admission tickets to future Bears fixtures. Membership is £25.00 per month during the racing season and all details can be found on the downloadable application form here.